Here it is! Our latest creation....Panacea Azul! A beautiful Cameroon wrapper filled with the finest filler tobacco and bound with a strong Cuban seed binder. This blend has a little bit for every Panacea fan (aka: Flatbeders). 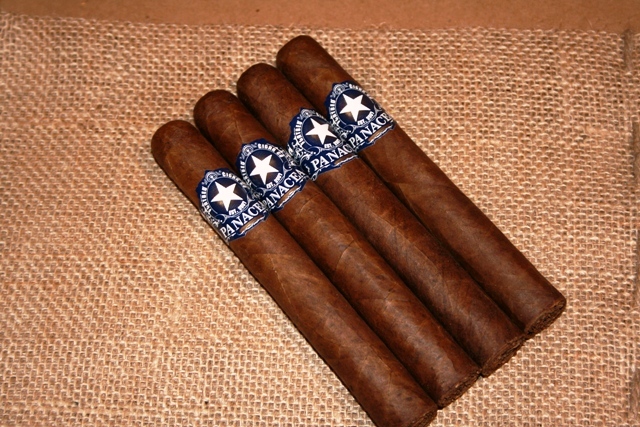 Filler is our signature Piloto and Olor ligero, Seco Cubano...however....we also added a touch of Pennsylvania Broadleaf. So, Azul has the Panacea signature notes...but with a twist of Broadleaf. I think you will really enjoy the blend. Those who sampled the blend through development loved it. So, grab a 4 pack of Toros and enjoy! PS. You will notice our new band style on this.....new cigar! This is a fantastic cigar to sit down after a long day and just relax. Smooth with a bit of kick. I will definitely trying more FlatBed cigars. Very smooth, burns great. I really enjoy the flavor of this cigar!